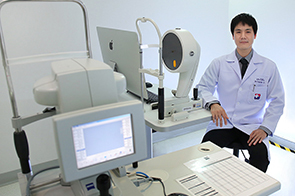 Professional care for aging eyes, eye health promotion, including academic research and development in relevant areas. 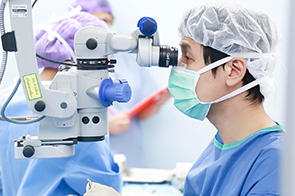 Medical and surgical retina services. Our mission is to deliver the best possible medical care and outcome. That is the reason why we have spent the past decade sharpening our medical care process and surgery results, as well as investing in a complete range of cutting-edge technology. Then, we are ready to become a destination of choice for Refractive Lens Exchange and so on, with growing international trust from near and far. 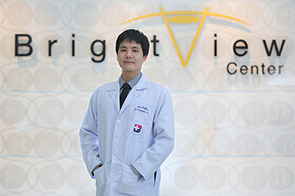 With a decade of extensive experience in Refractive Lens Exchange, the BrightView Center boasts more than 1,000 procedures achieved with proven clinical outcome. With new generations of implant technology coming just around the corner, we keep learning and catching up with the latest development and practice to achieve the best possible outcome. 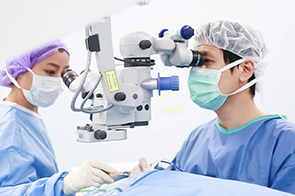 That is the reason why we are very confident of our surgical quality and vision enhancement outcome. Our patients enjoy the new-found freedom of vision following professional treatment and excellent outcome. They come from both in Thailand and overseas, from many countries around the world, Australia and New Zealand in particular. Then, you can trust and rely on our most professional yet delicate care for your eyes. Bangkok Hospital Phuket is the biggest private hospital in Phuket as well as in Southern Thailand. It provides comprehensive medical services ranging from high- standard diagnostics and medical consultation, through to effective medical treatment, general and complex surgery on the back of state-of-the-art technology. It also boasts a full team of highly qualified doctors specializing in, for instance, internal medicine, dental work, genecology and obstetrics, general surgery, orthopaedics, ophthalmology, psychiatry, pediatrics, radiology, rehabilitation and sports medicine, pathology, trauma and emergency, Ear, Nose and Throat, reproductive medicine. Moreover, a host of well-trained medical professionals stands ready to assure you of dedicated services up to high medical standards. They include nursing staff, pharmacists, physiotherapists, occupational therapists, psychologists, dietitians, medical technologists, radiologic technologists. Copyright © 2016 Bangkok Hospital Phuket.